One of my favorite Northeast U.S. distance races is scheduled for June 1 of this year...the Annapolis to Newport. The race was officially established in 1947 to be on a continuing basis in alternate years with the Newport-Bermuda Race. Until the mid-50s, it was the Newport-Annapolis race, but after much complaining by the competitors about slow trips up the Chesapeake after a long ocean race, the course was reversed in 1957. The race is organized by the Annapolis Yacht Club, with assistance from the Naval Academy Sailing Squadron, New York Yacht Club and Ida Lewis Yacht Club. The course heads south for 120 miles from Annapolis to the Chesapeake Bay Bridge Tunnel, then to the Chesapeake Light and then northeast to Newport. After navigating the shallows and currents of the Bay, navigators have to decide if they want to sail the run line to Newport, go in to the beach or head further offshore. 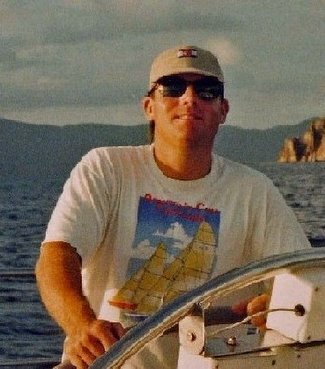 I last participated as crew aboard a 46' Sloop in the 2003 race during which Donnybrook, a Custom 72 owned by Jim Muldoon of the Annapolis Yacht Club, captured line honors.